This is a quote from Maya Angelou and I think it is a very nice way to start our blog for our Special Needs programs. Why? Because I think that probably the best thing we are doing here in our programs is listening to the songs of each child/person. And what beautiful powerful songs they sing: songs of love and commitment, songs of endurance and struggle, songs of joy and hope, of sadness and despair. Each child with his/her own song. Sometimes it is not easy to listen to the song – we are deafened by our own frustrations, our own prejudices, our own fears. Or we have our own music on high volume so we drown out the beautiful songs of our children! But you know love is an amazing force and with love comes all the rest. As we live and work with these children we see time and time again that they are our teachers. They want us to hear their songs. And you know what, if we just give them a chance they all will find a way to get us to listen! I hope that over the coming weeks, months and years, you will check out our blog and see what we are up to here in NPH Haiti with our programs for Special Needs Children. I hope you will be interested to see what we are doing in our rehab centers – Kay Eliane and Kay Ste. Germaine and in our home Kay Christine. I hope you will enjoy reading about our experiences and I hope you will become a part of what we are doing. Myself, I have been in Haiti for over 19 years now – 19 wonderful years. I feel so, so lucky to have had so many wonderful moments here and I hope to have many more. I don’t know the first thing about writing blogs – but I know a lot about sharing what I experience here so I reckon I can handle this. Don’t you think? 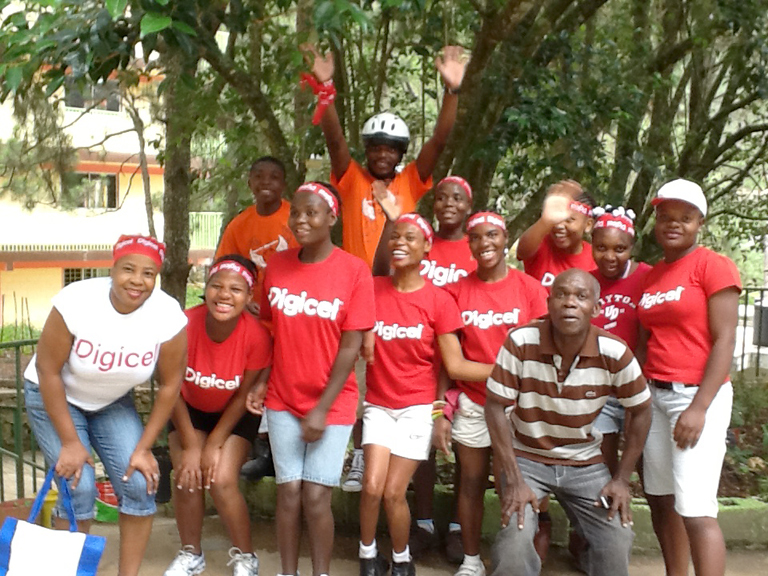 I leave you now with a picture of some of our older kids going off to Carnival des Fleurs (it was in Port-au-Prince). Director – Special Needs Programs, NPH Haiti. Glad to see you all embarking on so many wonderful ventures. Your new school program with the added emphasis on ecological training and life skills is such an exciting idea. Wishing you all the best!